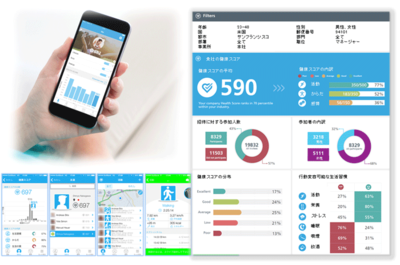 Tokyo/Japan and Zurich, Switzerland – dacadoo, an innovator in digital health technology and health scoring, announced today that it signed a strategic cooperation agreement with WingArc1st, Japan’s market leading business intelligence software company. 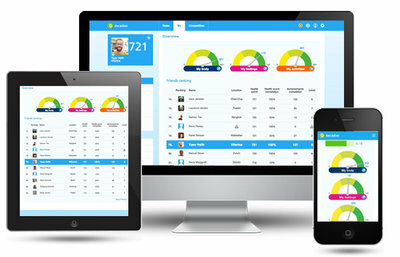 The Swiss company dacadoo develops and operates a digital, mobile health engagement solution including the world-wide patented Health Score to enable people to actively manage their health in an easy and fun way. The company applies motivational techniques from online games, collaborative features from social networks and personalized feedback to engage people to remain active. dacadoo announced today that it signed a strategic cooperation agreement for the Japanese market with WingArc1st, the market leading business intelligence software vendor in Japan. WingArc1st will begin the roll-out with a Japanese version of the dacadoo mobile solution among a selected group of forward-looking corporations and local governments in Japan, aiming to provide highly effective business solutions in the area of health & productivity management and leveraging its market leading position in business intelligence software in Japan to provide health promotion programs for corporations. WingArc1st is the market leading business intelligence and output management software company in Japan, having more than 18,000 companies, organizations and government bodies who use their software to effectively manage and analyze business performance and to effectively manage business forms from creation to print. WingArc1st is leading customer-focused business innovations from Big Data and is empowering the customers’ business performance at next level. WingArc1st was founded in 2004 and is headquartered in Tokyo, Japan with global expansions to Asia-Pacific region.